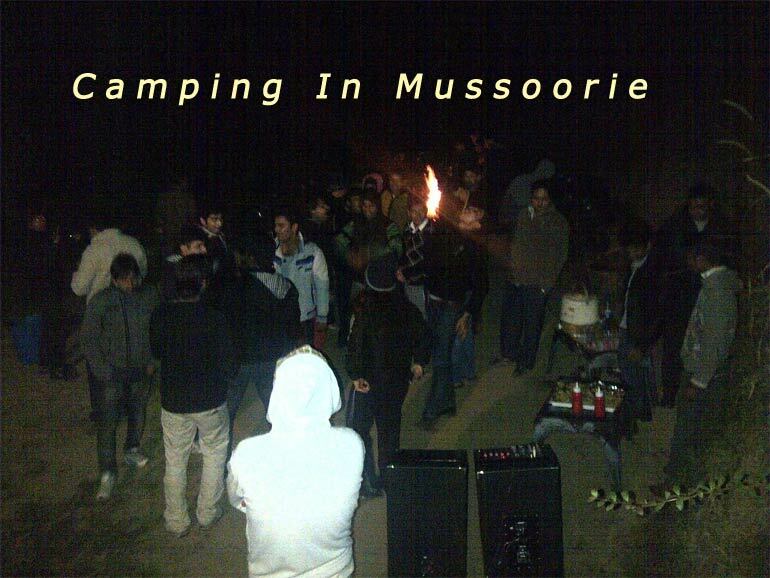 Mussoorie has a very picturesque location, overlooking the surrounding hills, and a perfect Camping Site. 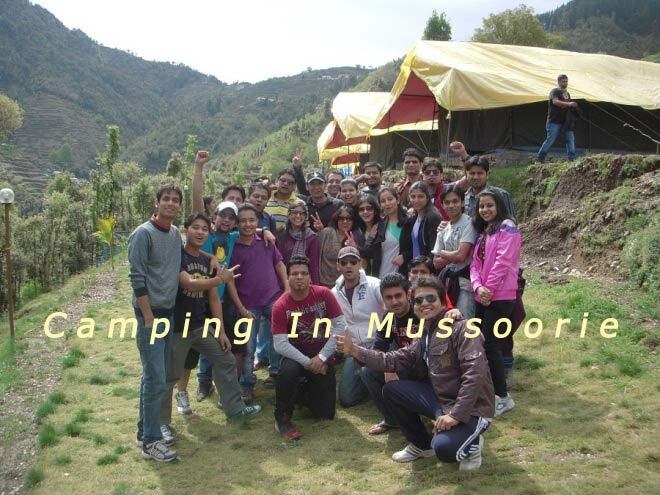 Camping is possibly the finest way to enjoy the serenity of nature with the company of your friends and family. In Camping one enjoy nature while spending one or several nights outdoors, usually at a campsite. 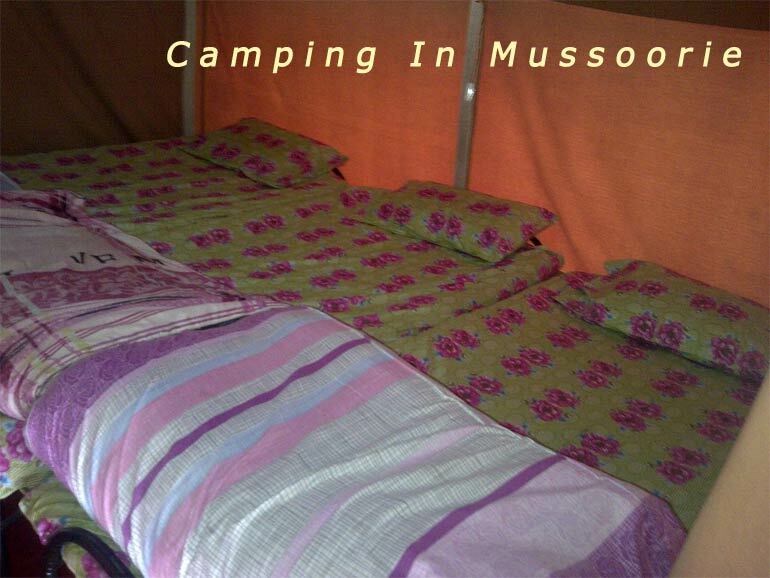 Camping involves the use of a tent, caravan, cabin, a primitive structure, or no shelter at all. 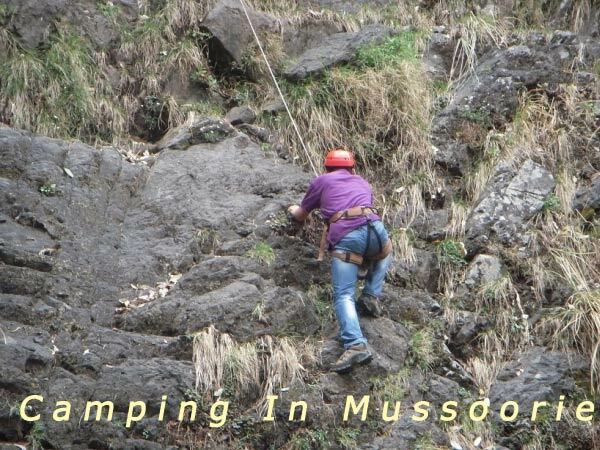 Mussoorie Tourism provides Camping for Adventure student summer camps, Camping holidays for families in different parts of Mussoorie & Near By Places. 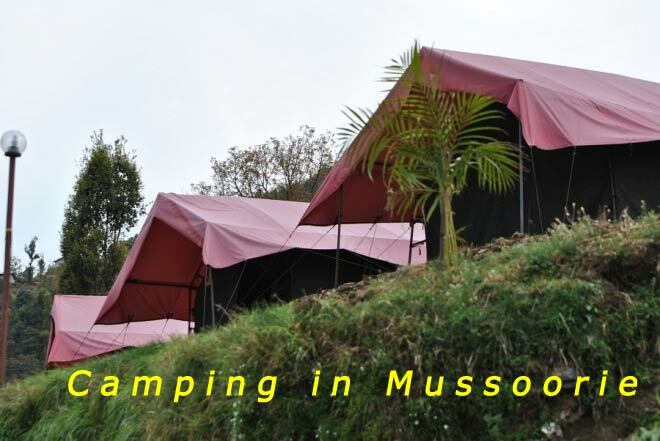 Our Camp is situated at 8,500 ft. in the Mussoorie hills. 27 km. from Chamba and 25 km. from Mussoorie. 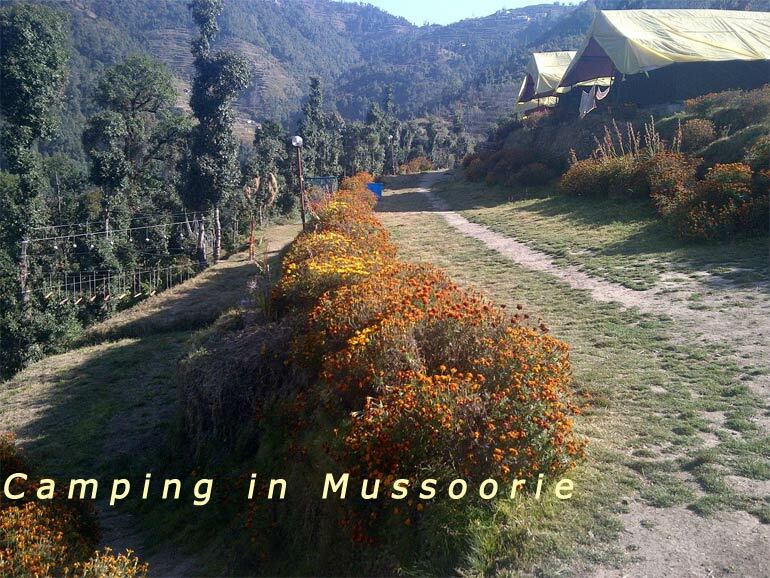 It offers perfect tranquility amidst long wooded slopes of deodar, Pine, Oak and Rhododendron trees. 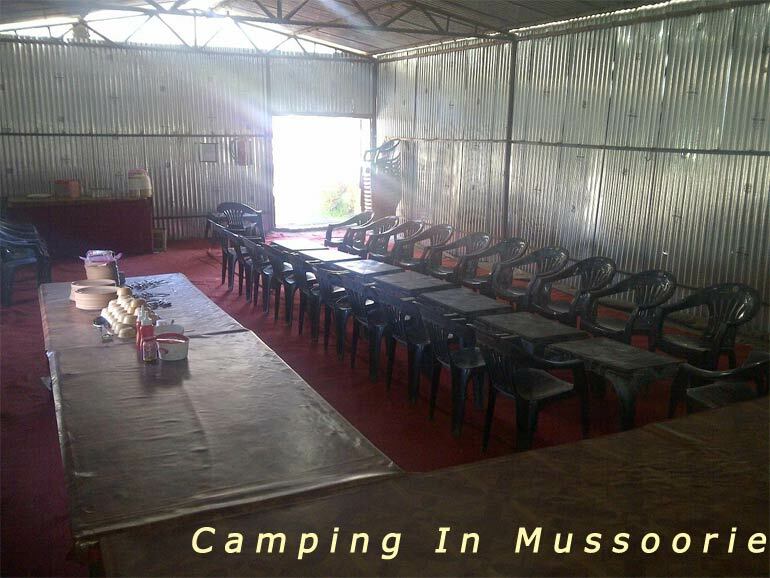 The camp sites provides picturesque 180 degree view of Gharwal Himalayas, and what's more, it is the highest destination nearest to the city of Delhi-Capital of India. 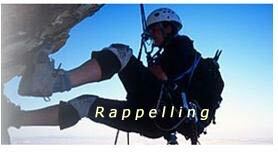 Rappelling- Unlike mountain climbing, Rappelling is much safer and anyone with usual strength can participate in this. It is an exhilarating way to experience which require basic knowledge of the sport. 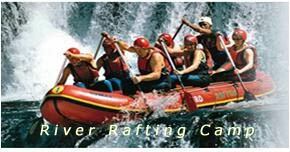 Rafting-Camp,� offers an enthusiastic facility of Rafting at Rishikesh, which will be organised while coming to the Lambdhar, Dhanaulti. Its an amazing experience having high rapids while rafting. Burma Bridge - This is a bridge that consists of a thick rope for walking upon, and two ropes to hold on to. The bridge stretches across a gorge. Commando Net - Commando nets have been used for decades as a training aid as far as climbing and crossing open spaces are concerned by the team.They are also used in a variety of summer camps. 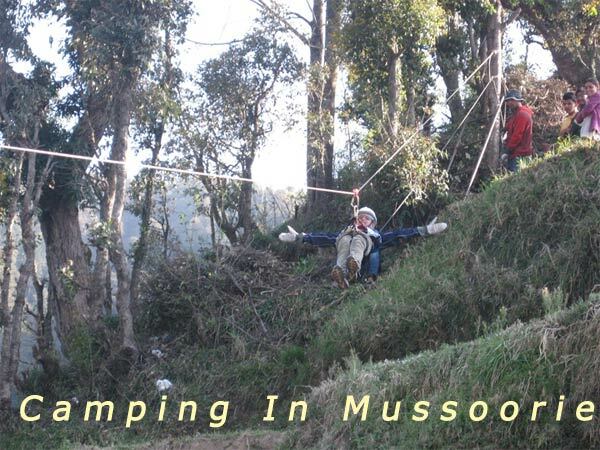 Day 02:����� In the morning after breakfast, you will enjoy adventurous activities like Valley Crossing, Burma Bridge, Parallel rope, flying fox, Mongli walk, Suspension bridge, Commondo Net etc. After long adventurous activities session in the afternoon lunch will be served, in the evening, tea/coffee with snacks. Followed by the dinner while enjoying the bonfire at the dark. Day 03:� In the morning after Breakfast, we go to see the beauty of nature like site scenes of the surrounding areas, you would love to capture in your cameras.Tour terminates�. 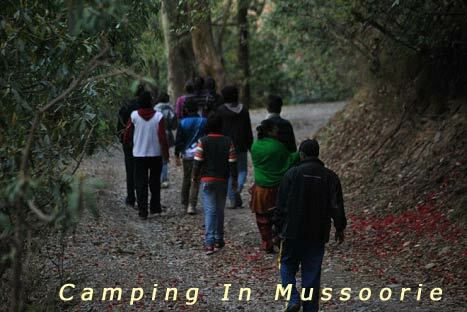 Forest Track: A day-picnic can be organized in the dense forest. Rafting at Rishikesh: While drving back to the home you have option to enjoy river rafting at Rishikesh. Make sure you carry personal medicines, electric torch, insect repellents and other essentials. You will be visiting remote areas where modern conveniences may not be available. Please ensure that the rechargeable batteries of your digital cameras, camcorders are fully charged. It can get very cold at night. It is advisable to carry a sweater, jacket, monkey cap, gloves and woolen socks. If you are scared of an activity, tell the camp leader about it. He will encourage and motivate you. We do not force people. It may rain anytime. An umbrella or a light raincoat is recommended. Do not leave wrappers and poly bags in forest during trekking and activities. Always wear proper trekking shoes while trekking. Uncomfortable pair of shoes can harshly hurt your feet and can lead to serious foot injuries while trekking. While planning your trekking trip, it is preferable to have a medical fitness check up.